San Francisco (Obama.net)- The political system of the United States of America has traditionally been a two party system. For as long as most can remember, American politics have been dominated by Democrats and Republicans. Third parties have sprung up periodically in an effort to make a run at instilling their ideas. The most recent third party to pop up is the Tea Party, which rose out of the ashes of the Republican Party after the loss of John McCain to Barack Obama for Presidency in 2008. After initially being disregarded as a minor distraction, the Tea Party has gained traction and its candidates as actually making names for themselves as legitimate contenders. On Tuesday, two Tea Party candidates edged out Republicans to win the primaries in both Delaware and New York. Tuesday was the last day of primaries. Up next for the candidates are the Midterm Elections on November 2nd. On that day the true power and influence of the Tea Party will be tested. On Tuesday, the new party simply won the right wing of the American population, but come November 2nd, the party will have to win over the majority of eligible voters. In other primary news, Charles Rangel was able to come out victorious in the New York Democratic primary. Also, in Maryland, Robert Ehrlich won the Republican primary for the seat of Governor. 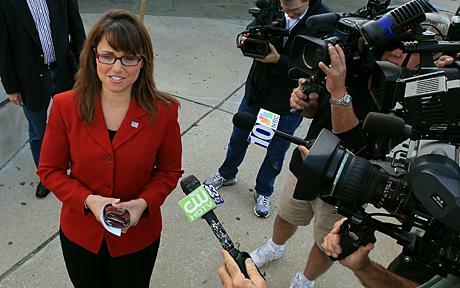 Delaware saw the Tea Party’s Christine O’Donnell take the victory in the race for the Republican Senate primary. New York’s Carl Paladino won the primary for Governor, giving the Tea Party another victory for the day. Historically, third party candidates rarely ever come out victorious on Election Day. However, it would be foolish to assume that the Tea Party will be counting on history repeating itself come November 2nd.